If you’re wondering how to cut siding, three ways—particularly for vinyl—exist and here, our siding experts describe how each one works best in different situations. 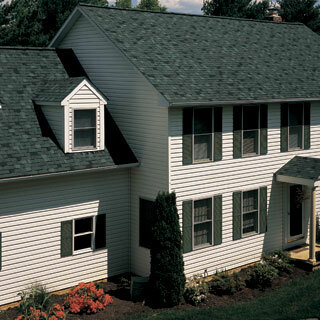 If you need help with your home siding project, don’t hesitate to contact PJ Fitzpatrick! When you have to cut numerous vinyl strips and you are performing short vertical cuts, the fastest and neatest way is to cut with a circular saw. If you are just cutting a couple of strips of siding and using vertical slices, making use of a pair of tin snips is best when you’re figuring out how to cut siding. When you must cut vinyl strips alongside their length—which involves much longer cuts—adopt a utility knife for the greatest levels of control. Implement a fine-toothed plywood-cutting blade in a circular saw. The most fluid cuts are done by putting the blade in backward. Be sure to wear safety goggles as you’re determining how to cut siding. Place a few vinyl siding strips on a level workbench. Push one side of the siding toward the end of the table until the cutting mark is a little bit past the side of your table. Place a carpenter’s square right beneath the siding to ensure the strip is making right angles in relation to the side of your table. Keep the siding strip and the carpenter’s square stabilized on your table using just one hand. Slowly cut the excess off with your other hand as you use the side of the table as a reference point. Do the same process again on the last strips of siding. Warning: Do not cut any material other than the siding using the reversed blade with your circular saw. Put a bit of siding on your work station and line up where you are planning cutting it with the side of your table. Arrange your carpenter’s square beneath the siding in order to make it stay perpendicular with the side of the table. With the carpenter’s square and the siding being held steady with one of your hands, start cutting into the section of siding using a pair of tin snips with your other hand. Shut the snips at around two-thirds of your way into the cut. When your first snip does not go all the way into your strip of siding, open your snips and push them forward. Carry out more cuts as needed until the extra material from the siding falls away from itself. For cleaner cuts, make sure the snips are not closing all the way. As you’re learning how to cut siding, set a siding strip with its face side up on your work station. Put a straightedge across the side of the strip in order to identify the place you intend on cutting it. Use a straightedge as well as a utility knife to score along the edge. Apply medium pressure throughout the cutting process.